Agility is one of the most transformational benefits companies can expect when they move business applications into the cloud. 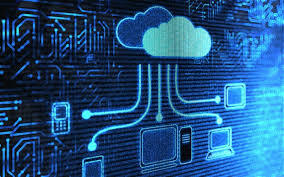 IT services company Perspicuity provides persuasive evidence of this: since transferring the majority of its software to the cloud two years ago, it has been able to launch a substantial second strand to its business, which would have been unthinkable previously. Perspicuity is a small but fast-growing business, which specialises in providing Microsoft solutions and services to organisations across the UK. It was established 11 years ago and has 25 staff, located in Yeovil, Somerset and London. The company swapped its own office systems for Office 365 when it began promoting the cloud-based applications bundle to its customers. Included are traditional Microsoft Office applications such as Word, Excel, PowerPoint and Exchange/Outlook, but also a comprehensive, unified communications platform, Microsoft Lync Online. This enables colleagues to stay in touch using instant messaging (IM), video calls, audio conferences and online meetings. “We use Office 365 for almost everything we do,” says Ben Gower, managing director. “Lync is the backbone of our communications. Our sales people use it for remote presentations and demos to customers; the technical team uses it for remote problem-solving with customers; and admin staff use IM to quickly check things – such as whether a bill has been paid. Greetings! Very helpful advice in this particular article!It is the little changes which will make the largest changes.Thanks for sharing! I every time emailed this website post page to all my associates, for the reason that if like to read it then my contacts will too.